Hello and Happy Tuesday! I hope your week is off to an awesome start! 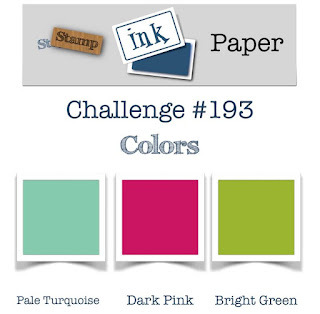 For the 193rd Challenge over at Stamp, Ink, Paper, we have some fun colors for you to check out! I used two different Concord & 9th bundles for this one. 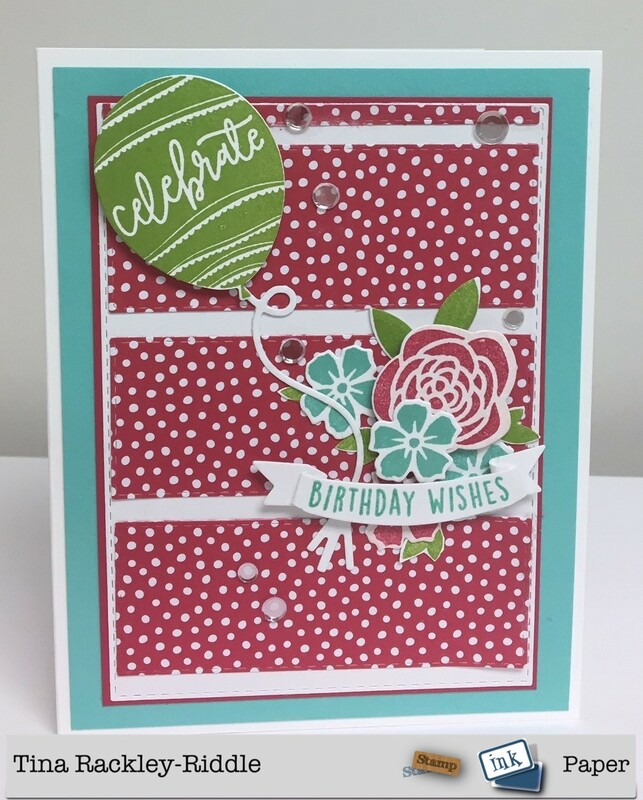 For the flowers I used the Enjoy It All Bundle and for the Banner and Balloons, I used the Happy Balloons Bundle! I have to admit I wasn't sure of the colors until I started using them, I began to love them! Both of the Concord & 9th Bundles I used have a lot of fun components. 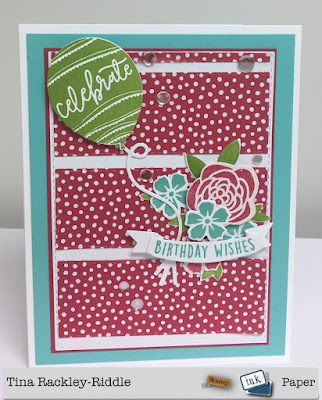 My inks and cardstock colors are Stampin' Up! Lovely Lipstick, Granny Apple Green, and Coastal Cabana!